The Best Beading Youtube Channels from thousands of top Beading Youtube Channels in our index using search and social metrics. Data will be refreshed once a week. 1.39 Stateside Bead Supply Inc.
About Youtuber Beadaholique.com is an online bead, beading and jewelry supplies company with free U.S. shipping! We have enjoyed serving beginners, craftspeople and professional jewelers since 1999. Subscribe for new weekly jewelry tutorials! About Youtuber Find new designs and experiments to do with various beads sizes and shapes. About Youtuber This channel is dedicated to the art of bead work. On this channel you will find fun and easy step by step bead weaving tutorials. Tutorials range from beginner to advanced. About Youtuber A bead Jewellery making Youtube Channel. About Youtuber A channel dedicated to beadind and all types of beading tutorials. About Youtuber My goal is to bring you great new designs, and to make beading easy and fun. I have tutorials and patterns appropriate for both beginning beaders who are looking to dip their toes in for the first time and test the waters, and expert beaders who are on the look out for the next amazing design. About Youtuber This is my video channel everything related to beading. About Youtuber This channel is dedicated to beading tutorials. I aim to create tutorials for moderate to advanced beaders. Some knowledge of basic beading stitches will be beneficial to those interested in the projects featured here. About Youtuber A fun and informative place to share my bead weaving tutorials and designs. About Youtuber Welcome to Beads Direct TV - providing you with weekly tutorials on how to make a variety of jewellery. Follow us as we help you to develop your skills in making bracelets, necklaces and much more! About Youtuber Subscribe to the channel to find great designs and tutorials to make jewelry and learn something new about beading. About Youtuber My name is Christina Larsen and I make handmade jewellery and other creative crafts and aim to share my skills and ideas with everyone. About Youtuber YouTube channel for The Potomac Bead Company, with bead stores across the US and Europe that offer gemstones, crystals, seed beads, glass, silver, wire, tools, and much more. Here, we teach hundreds of free beading classes, tutorials, patterns, and instructions. About Youtuber Hi and welcome to my passion of making jewelry...here you will find absolutely free Tutorials on my designs...I have been beading for many years now and decided it was time to share with the world for free of course one of my God given talents. About Youtuber Hey guys, I'm vineeta creator of Beads art, Beads Art channel is dedicated to all DIY- DIY necklace, DIY ornament, DIY rakhi making for rakshabandhan, DIY rangoli, DIY home decor, DIY beaded flower, DIY hand made jewelry, DIY christmas craft, DIY beaded ornament, DIY easy to make and fun ornament tutorial, DIY christmas decoration. About Youtuber Hello there and Welcome to my beading designs and tutorials channel! I hope you'll enjoy what you'll see here and have a little bit of fun beading with me! About Youtuber A channel for all those who love beading. Get useful tips and ideas. About Youtuber Fire Mountain Gems and Beads celebrates over 40 Years of Friendly Service, with over 20,000 free designs, over 150 tutorials and video how-to's, and more than 120,000 beads and jewelry-making supplies. About Youtuber Tutorials, beading techniques; how create different beaded jewelry and beadworks. About Youtuber Learn how to make Custom Jewelry, DIY Bracelets, Necklaces, Earrings, Rings. You can learn Basic Stitches like Herringbone Stitch, Peyote Stitch, Right Angle Weave, St Petersburg Stitch, Brick Stitch, Ladder Stitch, Spiral Stitch, Russian Spiral, Square Stitch Etc. About Youtuber Animated video tutorials for all basic beading techniques, produced and narrated by Ann Benson. About Youtuber Bozic Art channel is all about step-by-step tutorials of best professional beading. Follow to learn new techniques that will help you make your own necklaces,bracelets,rings & earrings. About Youtuber Hi! My name is Maria and it's my goal to make bead-weaving easy. I'll show you how to make beaded jewelry with step-by-step beading tutorials. Let's get started! About Youtuber We are a manufacturer and distributor of DIY Jewelry tools and supplies. On our channel you will find highlights from some of our new and best selling products. About Youtuber Here I'm glad o show you my beading cartoons, or animated tutorials, and my beadworks. About Youtuber Videos about Beadalon tips, techniques, and designs. Our goal is to create - not imitate - and our continued focus is on bringing you truly new innovative products for beading. About Youtuber Easy beading creations provides some best tutorials on beading. About Youtuber This channel is dedicated to those interested in beading, but need a little direction to help make the path to beading bliss a bit clearer. It is my hope that that path will be less confusing here. I intend to build a community here where all questions can be answered, not just by me, but also all the experienced beaders that hitched a ride from my other channel, Gina's Gem Creations. About Youtuber Be inspired and learn how to create beautiful on-trend jewellery and get to grips with the basic techniques if you're new to beading. About Youtuber Antelope Beads is an ecommerce website providing retail and wholesale beading supplies and projects for jewelry making. Featuring Kazuri beads from Kenya, Dorabeth Designs, Regaliz™ greek leather and findings, Flat Leather and Jewelry chain and much more, Antelope Beads has something for everyone who loves to make their own beaded jewelry! About Youtuber Hi, everyone. I am Tedy. I am a beading enthusiast. HereI am going to show you how to make beautiful jewelry pieces from beads, crystals, pearls and other charms. About Youtuber Fusion Beads is your source for beading instruction, how-to videos, beading tutorials, and inspiration for your next beading project. Our mission is to bring you a well-organized and easy-to-use site filled with information, inspiration and high-quality, fairly priced products. About Youtuber I have being beading for several years and love all kinds of beading projects. The one beading project that is my favorite is 3D Beading. About Youtuber AWESOME Free Beading Projects for the Huichol style FLOWERS and MORE!!! About Youtuber Simply the BEST beading wire. Soft Flex Company is the leading innovator in the manufacturing of beading wire. The real difference between us and all the other brands? We are passionate about beading. We create and distribute products that we want to use in our own designs because we love beads and beading too. About Youtuber A site that demonstrates and promotes basic beading techniques in Bead Stringing, Bead Weaving, Polymer Clay and Wire Working. 39. Stateside Bead Supply Inc.
About Youtuber How to beading designs and product descriptions. About Youtuber You will find how-to beading videos, helpful beading tips & techniques as well as product reviews. You will find a unique collection of vintage and contemporary beads and findings. We are well known at A Grain of Sand for our vintage beads & the famous Vintage Bead Hoard. About Youtuber Carol Cypher, author of MASTERING BEADWORK, HOW WE FELT, and HANDFELTED JEWELRY & BEADS, exhibits, writes about and teachers workshops in beadwork and feltmaking across the U.S. and around the world. About Youtuber With new sales weekly, GoodyBeads makes it easy and affordable to shop for beads, beading and jewelry-making supplies. Good jewelry starts with GoodyBeads. About Youtuber With my beading lessons you can learn new and exciting beading techniques step by step. These beading tutorials help you to create handmade jewelries. About Youtuber This channel is all about having fun as I show you different craft projects. Mostly beading but there will be other mediums. I love to learn and share new things, so come along and join me on my journey and let's see where this "beaded" path takes me! About Youtuber About beading, Bead projects, Beading Procedures and Sharing the Love for Beading. About Youtuber Learn to create beautiful bead art with these beading tutorials. I mostly work with faceted beads, and I use a stitch similar to the Right Angle Weave. Most of my doily pieces can be done with other beads as well. About Youtuber My name is Alicia and I have been beading for over 15 years. I absolutely love what I do. I love teaching new classes and meeting new beading friends. I love creating new designs and challenging myself. About Youtuber Hi! My name is Viktoriya. Welcome to my channel, here you will find free beading tutorials and designs. I have been beading for some years and finally decided to share my skills and ideas with everyone. CONGRATULATIONS to every youtuber that has made this Top Beading Youtube Channels list! 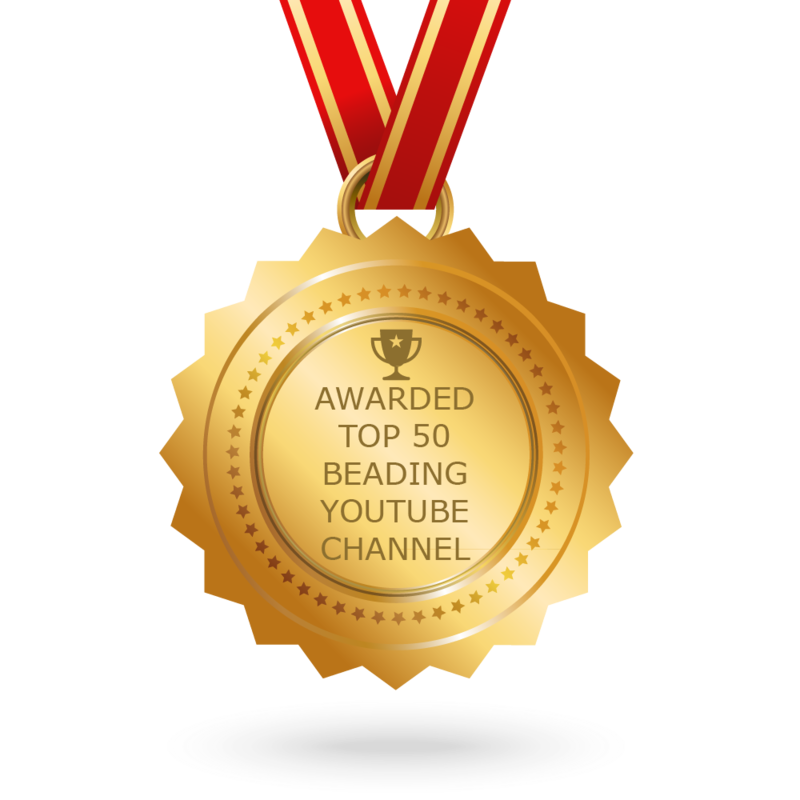 This is the most comprehensive list of best Beading Youtube Channels on the internet and I’m honoured to have you as part of this! I personally give you a high-five and want to thank you for your contribution to this world.